1. 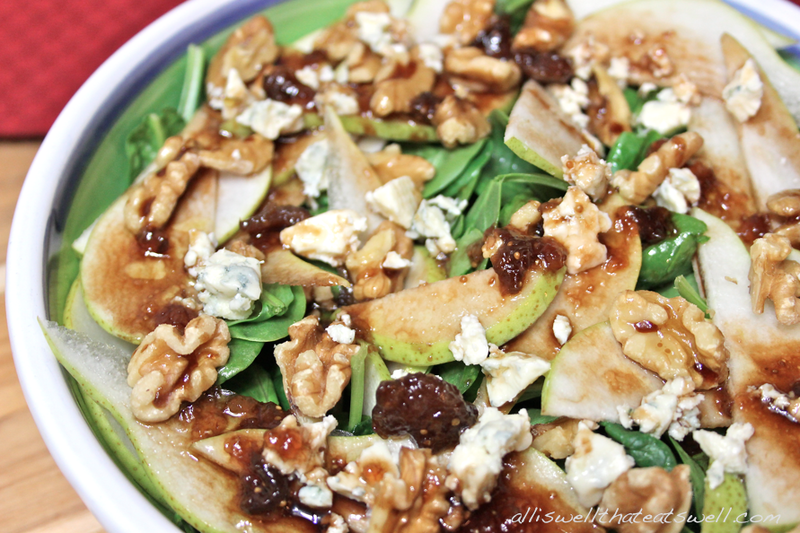 Place spinach into salad bowl and add sliced pears, walnuts and Gorgonzola cheese. 2. In a separate small bowl, combine fig preserves, olive oil and balsamic vinegar with a fork making sure all ingredients well incorporated. Pour dressing over salad and finish with a touch of black pepper!